Long a dietary staple of the people of Asia, Africa, and the Pacific Islands, coconut oil has been used for both food and health care. It has been used in Ayurvedic herbalism for 4,000 years and it is a natural oil, lower in calories than most oils. 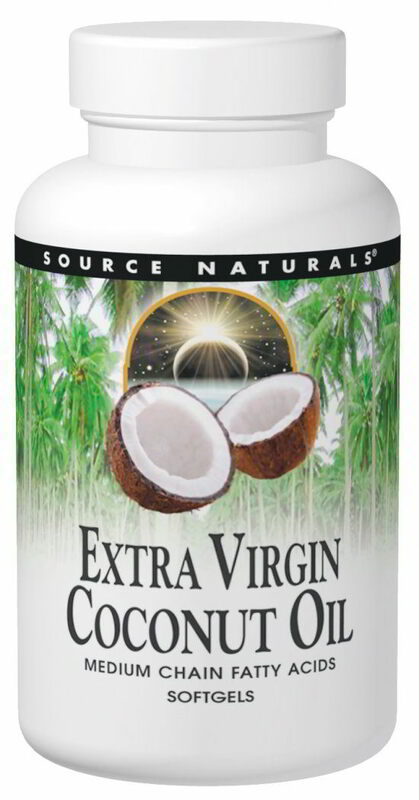 Coconut oil is composed of medium-chain triglycerides (MCTs), which are less likely to be stored in the body as fat than are long-chain triglycerides (LCTs). Combined with essential fatty acids, it is a perfect addition to an overall healthy lipid program. 4 to 8 softgels daily with meals. Other Ingredients:gelatin, glycerin, purified water, and titanium dioxide. Warning: If you are pregnant, may become pregnant, or are breastfeeding, consult your health care professional before using this product.